If you are the 'Tenterden Lions Classic Car and Motorcycle Event' Event organiser and you would like to update or amend the details shown, please contact us. Thank you. When is the next Tenterden Lions Classic Car and Motorcycle Event? Sunday 15th September, 2019. Tenterden Lions Classic Car and Motorcycle Event is listed under September 2019 Events. Although we try to keep the information for this event as up to date as possible, we cannot guarantee that things haven't changed at the last minute, and we haven't been informed. Therefore, please contact the 'Tenterden Lions Classic Car and Motorcycle Event' event holder directly to confirm all details (especially event name, dates and location) before setting off to Cranbrook Road. 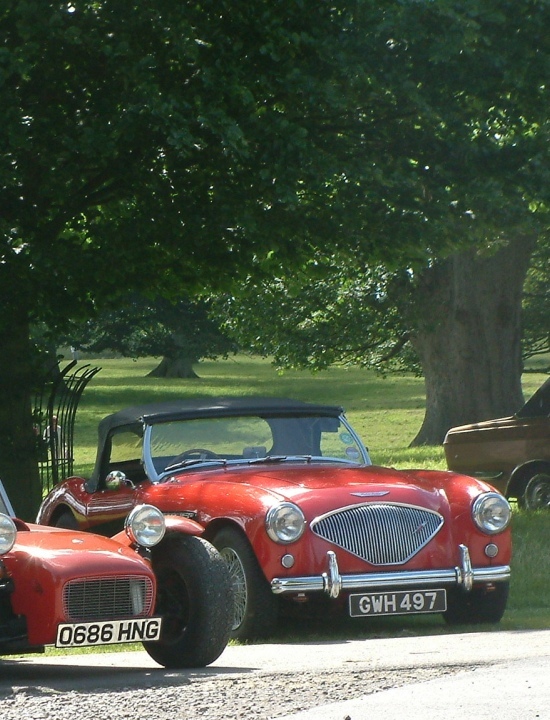 The Tenterden Lions Classic Car and Motorcycle Event is planned to take place at Little Halden Place Farm, Cranbrook Road, Tenterden, Sunday 15th September, 2019. You may reach the event organisers on 01233 770456. Tenterden Lions Classic Car Event (third year) 15th September 2019. Bookings and arrangements are currently being made and will be announced soon, but in the meantime, if you have a Classic Car or Motorcycle, you can download an Entry Form below. Dog Show Entry Forms can also be downloaded at www.tenterdenlionsclub.co.uk.